The required level of accuracy coupled with the amount of information about the project that is available will dictate the type of estimate that can be prepared. The different estimating methods are discussed below. The detailed estimate includes determination of the quantities and costs of everything that is required to complete the project. To perform this type of estimate, the contractor must have a complete set of contract documents. Each item of the project should be broken down into its parts and estimated. Each piece of work that is to be performed by the contractor has a distinct labor requirement that must be estimated. The items that are to be installed by others need to be defined and priced. Caution needs to be exercised to ensure that there is an agreement between the contractor and the specialty contractor as to what they are to do and whether they are to install or supply and install the items. In addition, there needs to be an agreement about who is providing support items such as cranes and scaffolding. The contractor is responsible for making sure that the scope of work is divided among the contractor and subcontractors so that there are no overlaps in the individual scope of works and that everything has been included in someone’s scope of work. The detailed estimate must establish the estimated quantities and costs of the materials, the time required for and costs of labor, the equipment required and its cost, the items required for overhead and the cost of each item, and the percentage of profit desired, considering the investment, the time to complete, and the complexity of the project. In assembly estimating, rather than bidding each of the individual components of the project, the estimator bids the components in groups known as assemblies. The installation of the components of an assembly may be limited to a single trade or may be installed by many different trades. An example of a simple assembly would be a residential light switch, which includes a single-gang box, a single-pole switch, cover plate, two wire nuts, and an allowance of 20 feet of NM-B 12 gage wire. The entire assembly would be installed by an electrician. A residential electrical estimate could be prepared using assemblies for the switches, outlets, lights, power panels, and so forth rather than determining the individual components. An example of a complex assembly would be a metal-stud, gypsum-board partition wall, which would include bottom track, metal studs, top track, drywall, screws, tape, joint compound, insulation, primer, paint, and other miscellaneous items needed to construct the wall. This assembly would be installed by multiple trades. Many high-end estimating computer programs, such as WinEst and Timberline, allow the user to prepare detailed estimates by taking off assemblies. For the switch assembly, the estimator would take off the number of switch assemblies needed for the project, and the software would add one single-gang box, one single-pole, one cover plate, two wire nuts, and 20 feet of NM-B 12-gage wire to the detailed estimate for each switch assembly. This simplifies the estimating process and increases the productivity of the estimator. Assembly estimating is also useful for conceptual and preliminary estimates. By using broad assemblies, an estimate can be prepared quickly for an entire building. For example, an estimate for a warehouse can be prepared by using assembles for the spot footings, the continuous footings, the foundation wall, the floor slab (slab, reinforcement, granular base, vapor barrier, and fine grading), the exterior wall, personnel doors, overhead doors, joist and deck roof structure (including supports), roof insulation, roofing, wall cap, skylights, bathrooms, fire sprinklers, heating, lighting, and power distribution. 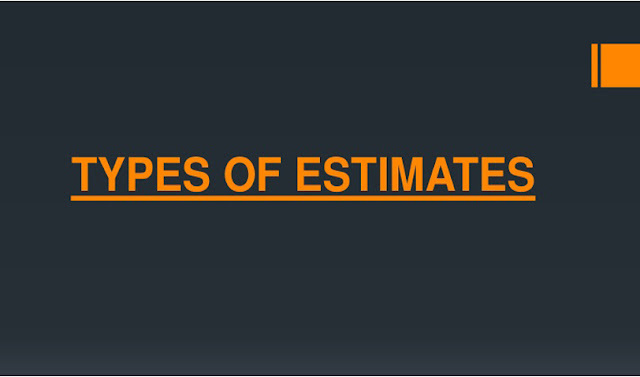 This type of estimate can be prepared in hours instead of spending days preparing a detail estimate. The trade-off is that this type of estimate has many broad assumptions and is less accurate. This type of assembly estimating is good for estimates prepared with limited drawings, to compare design approaches, and as a check of a detailed estimate that seems way off. If the assembly price comes from previously completed projects, it is assumed that this project is identical to the completed projects. That assumption is clearly not valid in the construction of buildings. Weather conditions, building materials, and systems as well as design and construction team members change from project to project, all adding to the uniqueness of every project. Skill and judgment must be used while preparing this type of assembly estimate to ensure that proper adjustments are made by taking into account the varying conditions of each project. Companies such as R.S. Means publish annual guides (such as Square Foot Costs) that contain pricing for assemblies. Square-foot estimates are prepared by multiplying the square footage of a building by a cost per square foot and then adjusting the price to compensate for differences in the building heights, length of the building perimeter, and other building components. In some cases, a unit other than square footage is used to measure the size of the building. For example, the size of a parking garage may be measured by the number of parking stalls in the garage. The information required to produce a square-foot estimate is much less than is needed to prepare a detailed estimate. For example, a preliminary set of design drawings (a single-line floor plan and key elevations) would have the dimensions that are necessary to prepare a square-foot estimate. Square-foot estimates are helpful to check whether the project, as designed, is within the owner’s budget. Like an assembly estimate that uses broad assemblies, care must be exercised while preparing a square-foot estimate to ensure that the projects used to determine the cost per square foot are similar to the proposed project. Companies such as R.S.Means publish annual guides (such as Square Foot Costs) that contain a range of unit costs for a wide variety of building types. These guides provide a number of adjustments to compensate for varying building components, including the city where the project is located. Parametric estimates use equations that express the statistical relationship between building parameters and the cost of the building. The building parameters used in the equation may include the gross square footage, number of floors, length of perimeter, percentage of the building that is common space, and so forth. For an equation to be usable, the parameters used in the equation must be parameters that can be determined early in the design process; otherwise the equation is useless. Parametric estimates are similar to square-foot estimates; however, the equations used in parametric estimates are more complex and may use log functions, ratios of parameters, and multiplication of parameters. Parametric estimating is useful for preparing conceptual estimates based on assumptions of key building parameters or estimates based upon early designs. As with square-foot estimates and assembly estimates that use broad assemblies, care must be taken to ensure that the proposed project is similar to the projects from which the equation has been derived. What is the length of the building? How many bays are along the length of the building? What is the width of the building? How many bays are along the width of the building? What is the wall height above the grade? What is the depth (from the grade) to the top of the footing? What is the floor thickness? Do you want wire mesh in the slab? How many roof hatches do you want? How many personnel doors do you want? How many and what size of overhead doors do you want? How many and what size of skylights do you want? Do you want fire sprinklers? What bathroom facilities do you want? On the basis of the answers to these questions, the model prepares a preliminary estimate for the project. Logic is built into the model, such that the model selects the necessary components for the estimate based upon the answers to the questions. For example, the size of the spot footings in the center of the building that support the roof and their costs are selected based on the area of the roof the footings support, which is equal to the width of a bay multiplied by the length of a bay. The length and width of the bays are calculated from the first four questions. A simple model estimate (Warehouse.xls) for a warehouse is provided on the companion disk. This model makes many assumptions as to the design of the warehouse, such as assuming the exterior wall is constructed of concrete masonry units (CMU). The model ignores the site and excavation cost, which needs to be added to the estimate from the model to get a complete estimate. Estimating models may be complex and may prepare a detailed estimate for the entire project, or the models may be simple and prepare a preliminary estimate for part of a project. As with square-foot estimates, assembly estimates that use broad assemblies, and parametric estimates, care must be taken to make sure that the proposed project is similar to the projects from which the model was developed. Project comparison estimates are prepared by comparing the cost of a proposed project to a completed project. When preparing an estimate using this method, the estimator starts with the costs of a comparable project and then makes adjustments for differences in the project. For example, an estimate for the buildings in an apartment project may be prepared from a project built using the same plans during the previous year in a nearby city. In this example, the prices from the completed project need to be adjusted for inflation, changes in the availability and cost of labor, changes in the plans made to meet city codes, and so forth. In most cases, the site should be estimated using another method because of the many differences in site conditions. As with other estimating methods that do not prepare a detailed list of materials, care must be taken to ensure that the proposed project is similar to the completed project.